Cuba is a very special case study for food researchers … My view of the geo-politics of the entire region has changed. I have a picture of Che posted in my kitchen to remind me to aspire to be brave, persistent, compassionate and adventurous. I will do all I can to learn more about Cuba and the Cuban people's struggles—past and present. Cuba is in a unique position as the only country in the world that has gone so far into organic farming/gardening. We should all treasure that ... Every organic grower, given the opportunity to meet the Cuban growers, would be inspired and strengthened. I wanted to thank EVERYONE for their effort in making this trip possible. 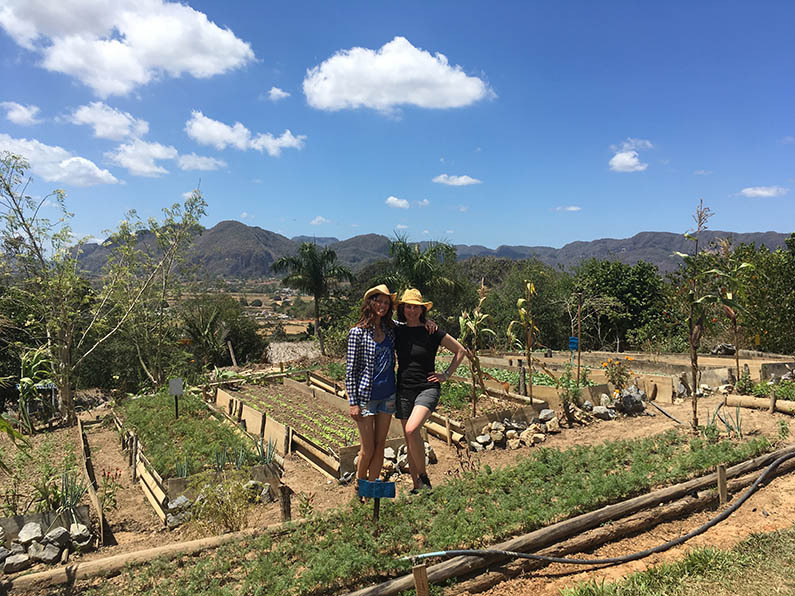 Everyone involved was so wonderful, I was blown away with the team and our travel group … I am going to love staying connected to hear what everyone is doing to improve their farms and communities in food sovereignty! [I learned] how to make do with less. Wants versus needs. It is refreshing to see how everyone matters in this culture; the weak, frail and elderly are provided for and not pushed aside. I had no opinion of Cubans before this trip, but I admire their character and ingenuity. Cuba is now on my radar as a wonderful place to visit and learn.